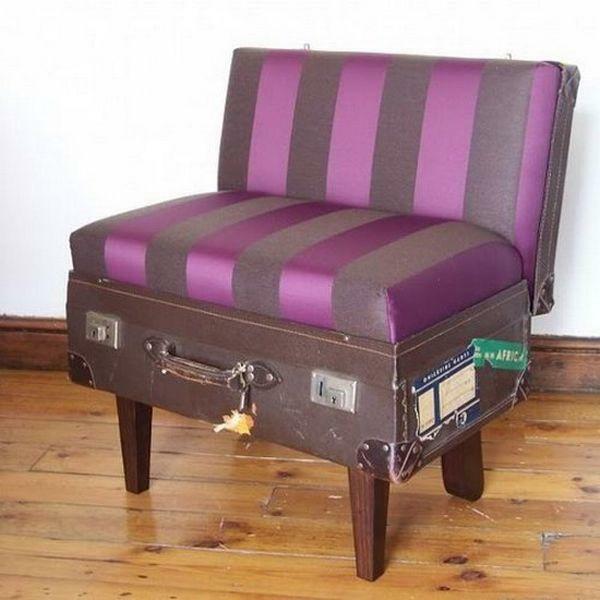 Recycling vintage suitcases for beautiful chairs with soft and colorful cushions allows to save money, redecorate your home in style, reuse and recycle old items and create something bright that your are proud of. 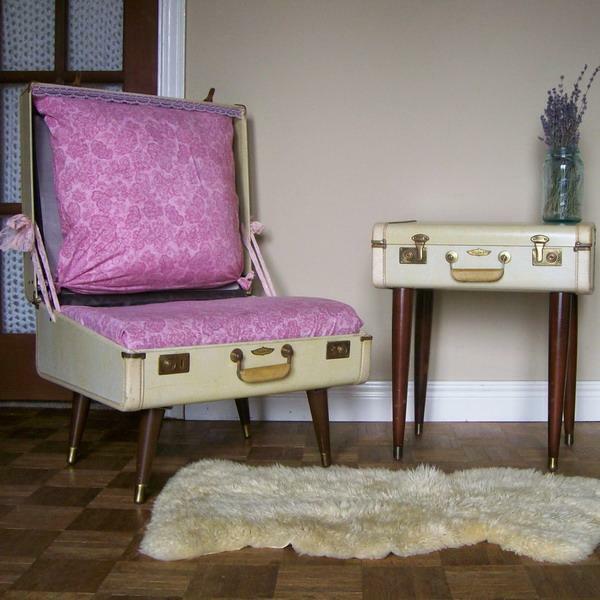 You can easily fashion retro suitcases for a new purpose and add modern upholstered chairs in vintage style to your home decorating. 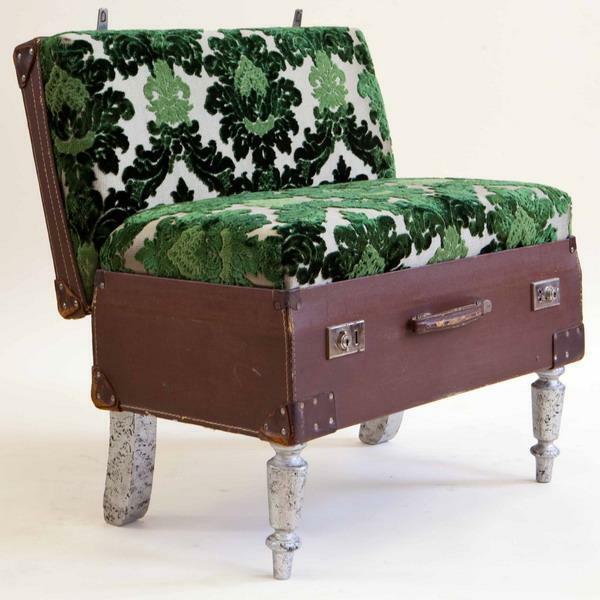 Lushome presents a collection of attractive, functional and modern chairs in vintage style made out of colorful fabrics and old suitcases. 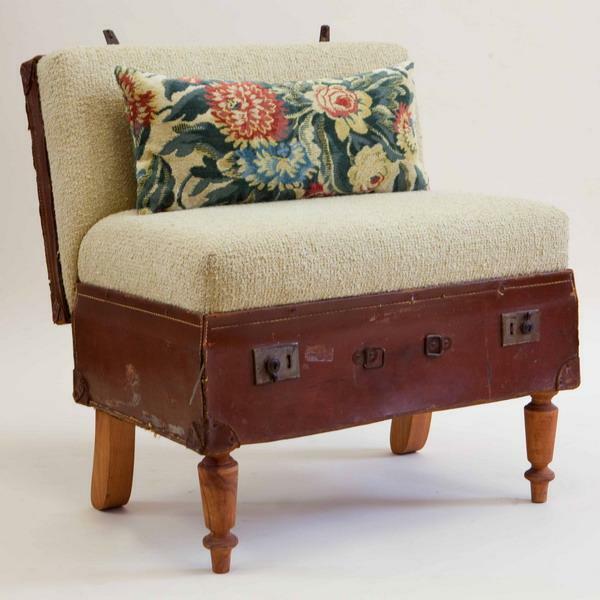 The idea to reuse and recycle vintage suitcases and fabric pieces is a key essential that creates eco friendly, unique and cheap home decor. 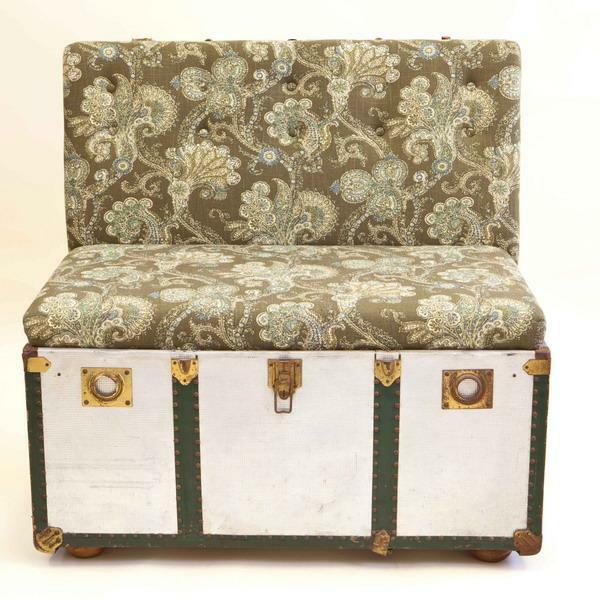 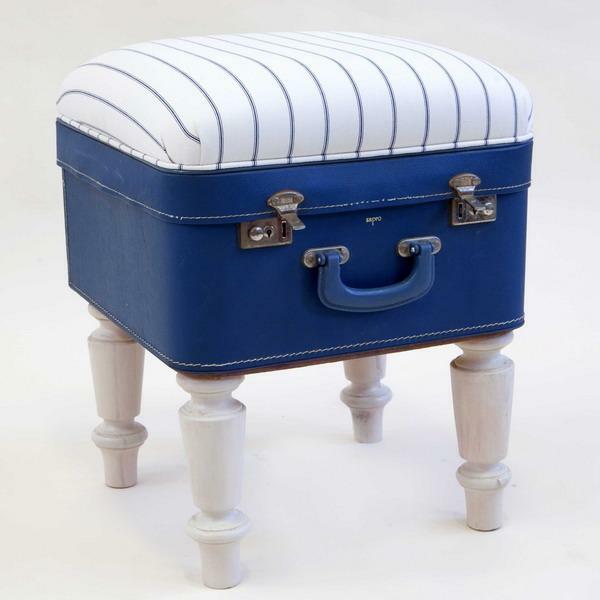 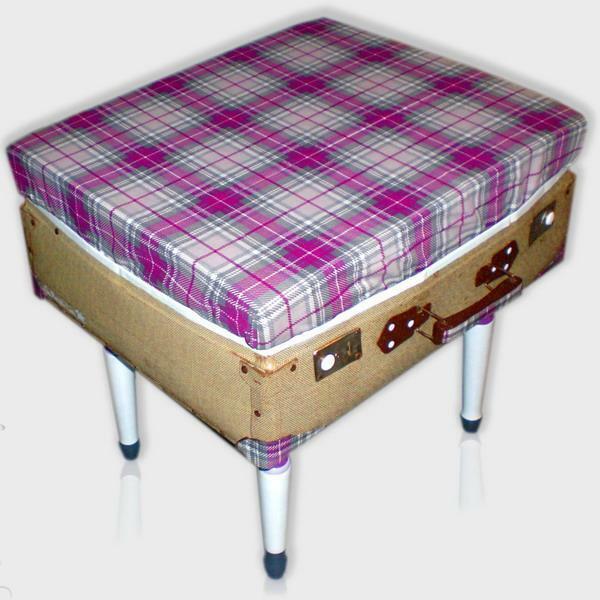 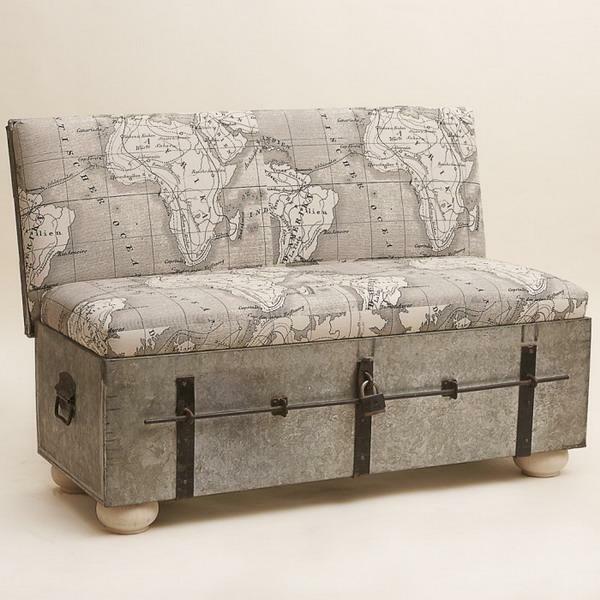 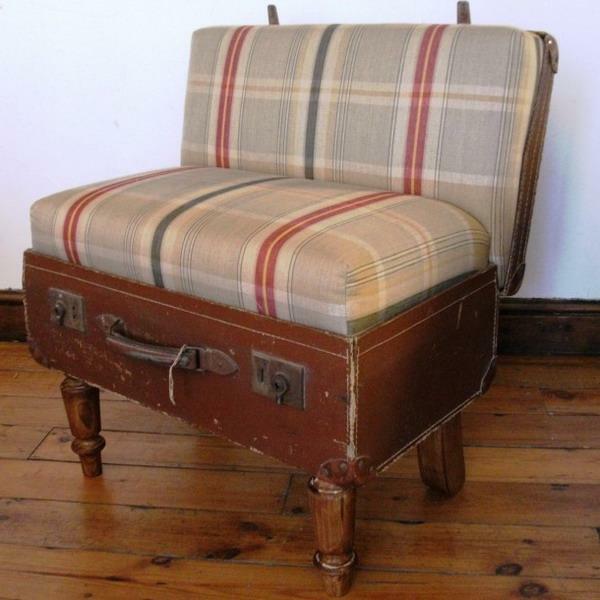 Items in vintage style, such as suitcases and small trunks, are great for making upholstered chairs in vintage style. 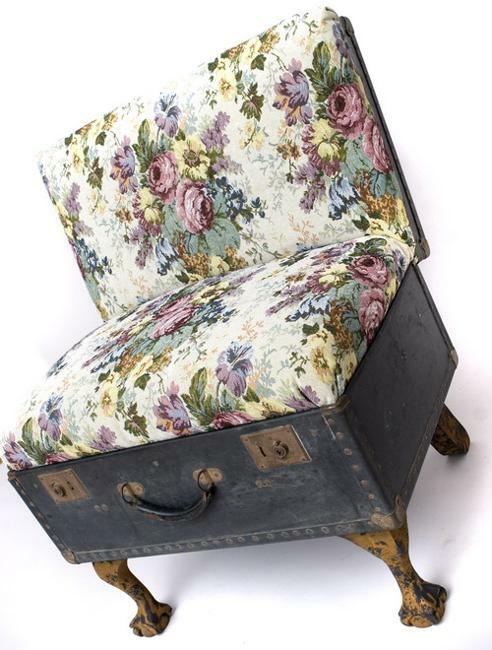 Floral fabrics, stripes and polka dot fabric prints are timelessly stylish. 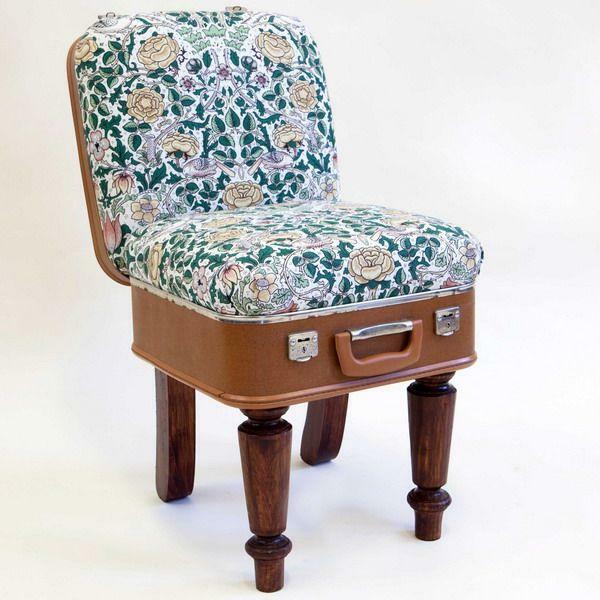 Colorful fabric prints and beautiful decoration pattens add a romantic look and an elegant feel to modern chairs in vintage style, allowing to reuse and recycle vintage suitcases by turning them into beautiful home furnishings. 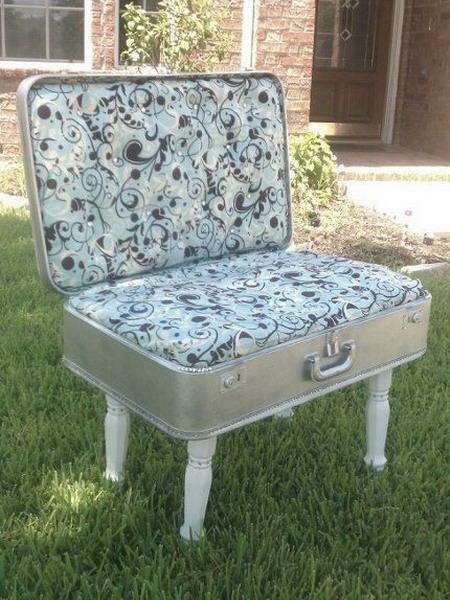 Here are great examples and inspirations for fun DIY projects recycling suitcases for modern furniture creations. 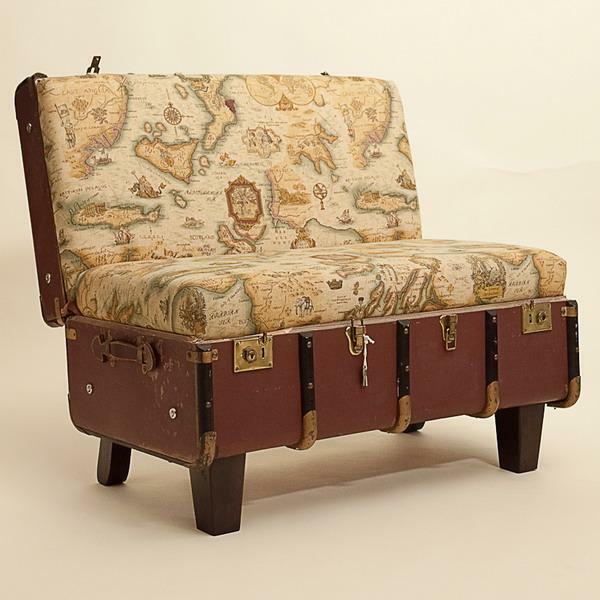 Vintage suitcases and trunks exist in various shapes and sizes, and feature beautiful details and materials. 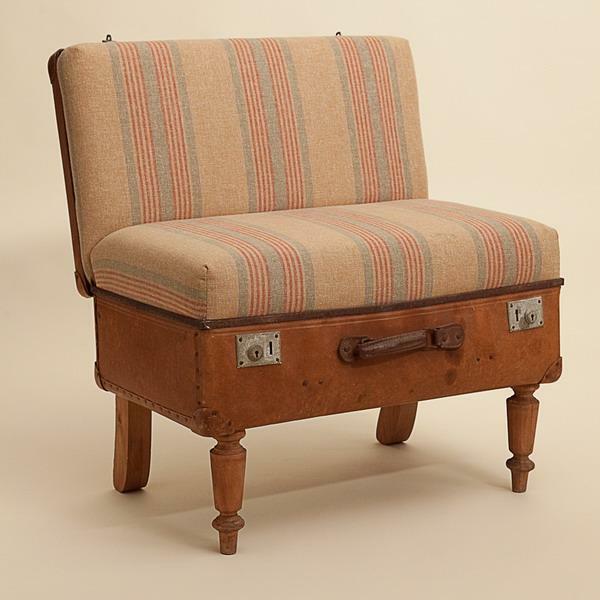 Modern chairs with soft cushions that reuse and recycle vintage suitcases enhance interior design by adding unique textures, shapes, color accents and decorations to room decor. 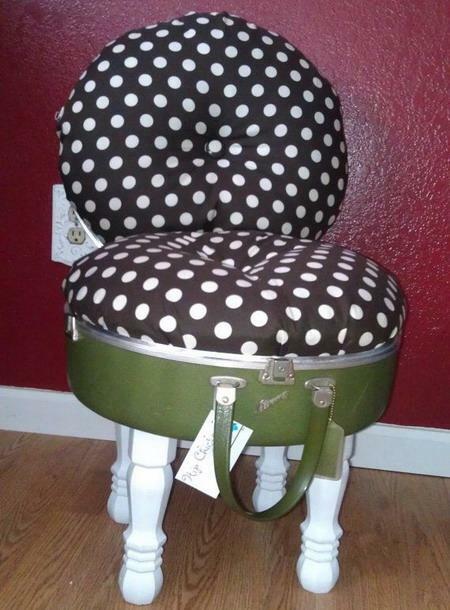 Making modern chairs out of vintage suitcases is the most obvious way to reuse and recycle these items. 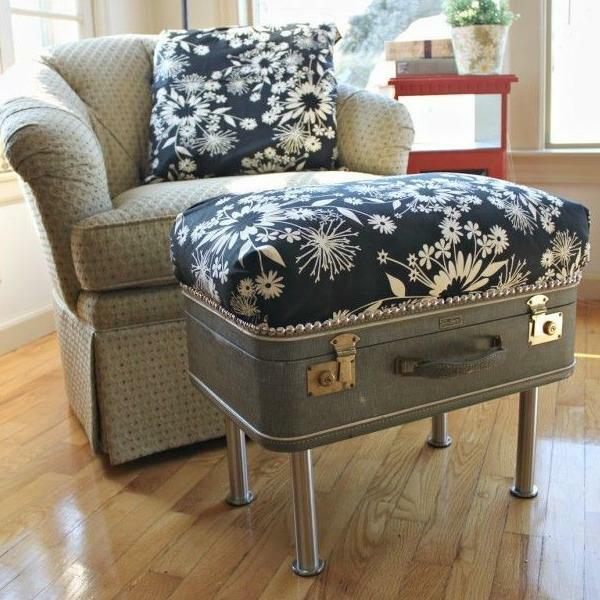 It is easy to design a rectangular or round cushions for vintage suitcase halves and create beautiful seats and back rests with pillows that delight with attractive decoration patterns. 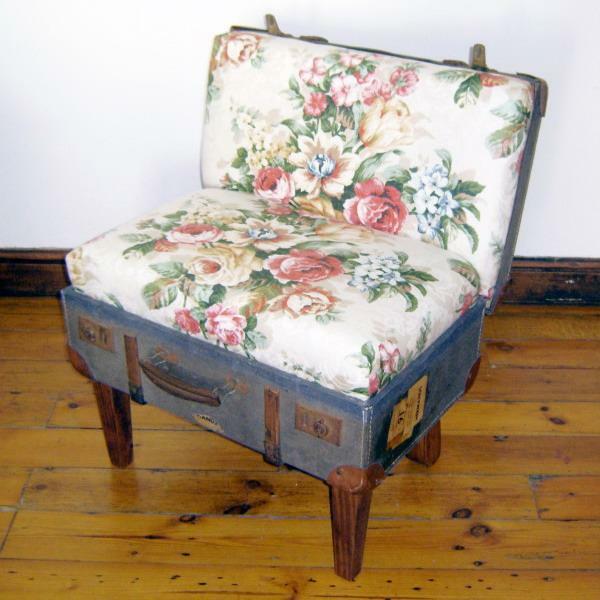 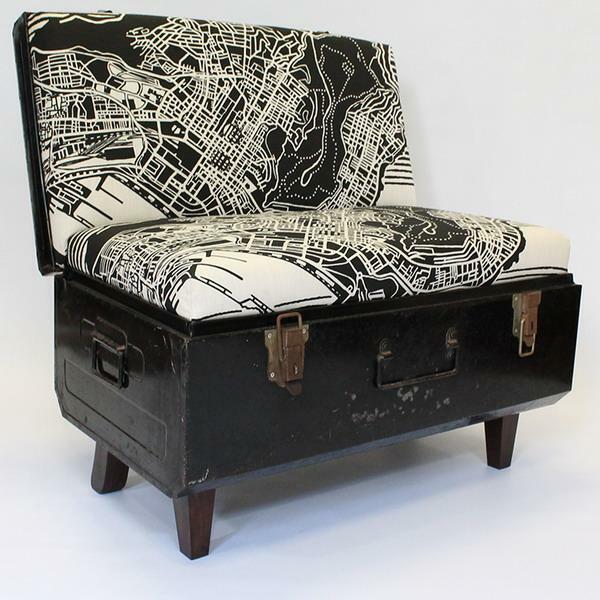 You can make adorable retro-looking seats for children and adults out of a vintage suitcase. 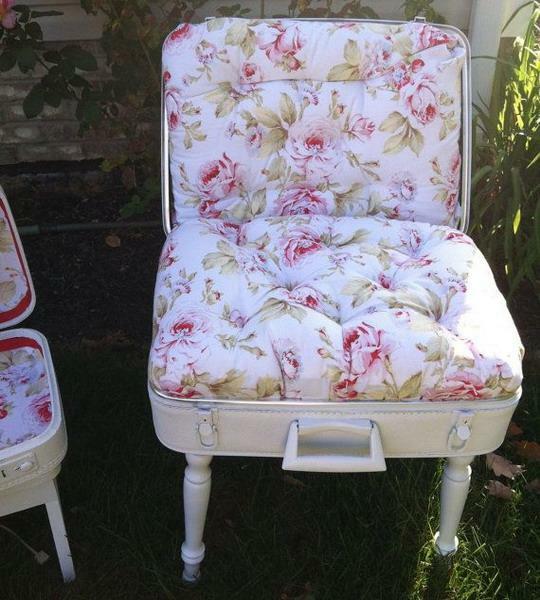 Poufs, ottomans, chairs and stools with floral cushions, stripes and all other fabric prints look gorgeous. 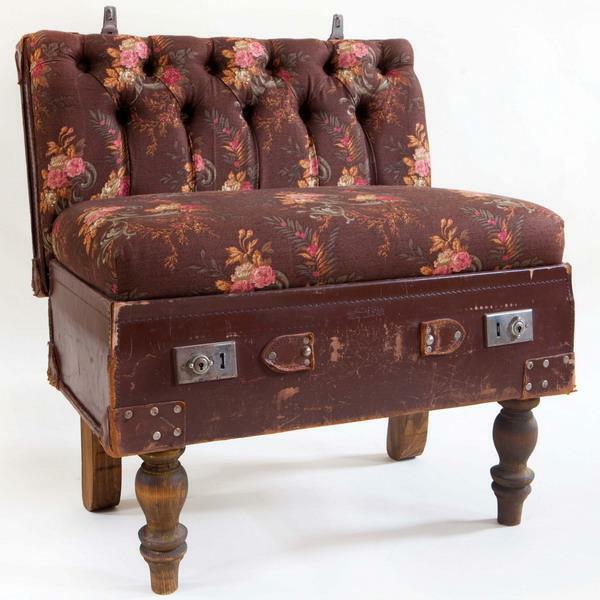 By using plywood boards to stiffen the sides and holding the suitcase parts in place, you can add durability and creative shapes to the modern furniture in vintage style. 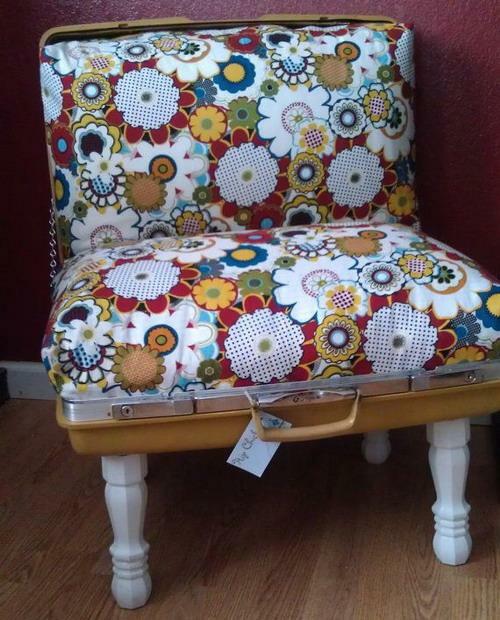 Bright fabric prints for cushions allow to brighten up upholstered chairs in vintage style, creating unique room furniture pieces that look great. 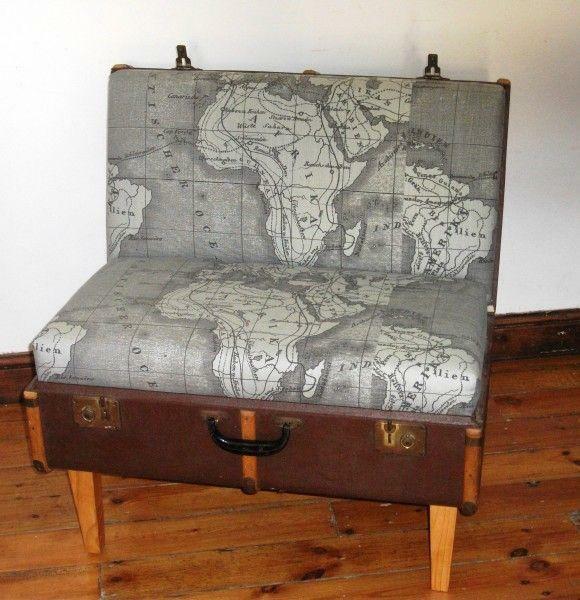 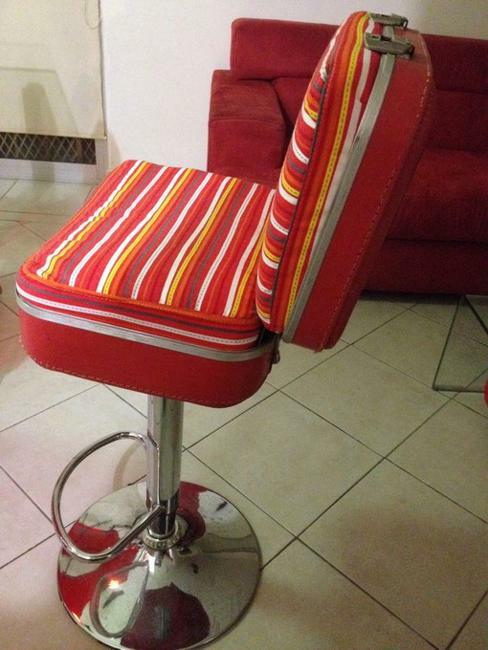 Handmade chairs and stools with interesting cushions are wonderful ideas to reuse and recycle vintage suitcases and fabric, add neat and comfortable furniture, and give a nice touch to interior decorating in retro style. 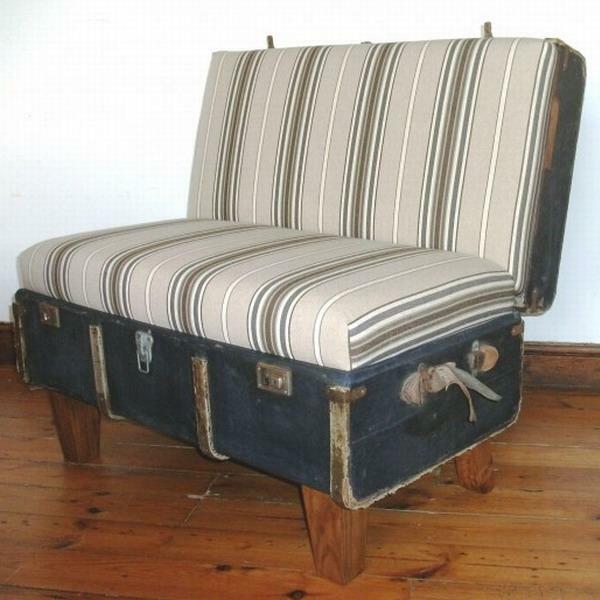 Some vintage suitcases are more like boxes, and are great for creating simple bench like designs. 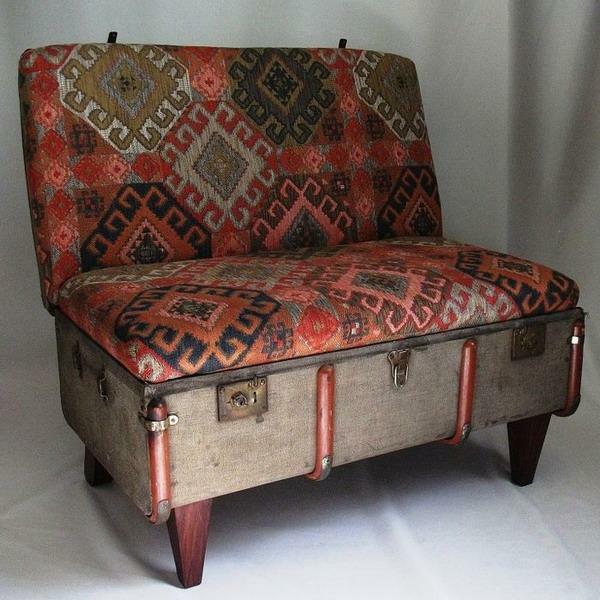 Adding colorful pillows and cushions with beautiful prints can enrich an existing interior decorating color scheme, enhance the combination of decoration patterns and bring playful or exotic vibe into vintage decor.